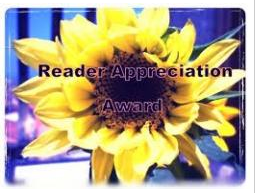 I am honored that Sharanelle Clark at “Not Happenin’ On My Watch” (http://nothappeninonmywatch.wordpress.com) nominated me to receive The Reader Appreciation Award. Ms. Clark blogs on issues relating to life, relationships, Biblical views and interpretation, education, and other areas of interest. Thank you, Ms. Clark, for this nomination. May the Lord Jesus Christ be praised and honored through our blogs, and may readers be inspired to faith in Christ through the blogs’ contents. 1. Larry Nevenhoven—“Larry Who,” http://larrywho.wordpress.com — a blog on biblical teaching, current issues, and prophecy. 2. Michael Hyatt—“Michael Hyatt Intentional Leadership,” http://michaelhyatt.com — a blog on personal development to help readers live with more passion, work with greater focus, and lead with extraordinary influence. 3. Rachel—“Stirring the Deep,” http://stirringthedeep.com — a blog with articles, videos and poetry to assist readers in cultivating a real relationship with God through biblical teaching. 4. RJ Dawson—“Real Christianity,” http://getrealchristianity.wordpress.com — a blog that examines what it means to live the real Christian faith and be part of building Christ’s Church in today’s modern world. 5. Catherine—“Freefrombondage,” http://freefrombondage.wordpress.com — a blog about how, through the power of Jesus Christ, we can be healed and set free from those mental and emotional chains that often imprison us. 6. Paula Whidden—“Faithful Choices,” http://www.faithfulchoices.com — a former full-time youth and children’s pastor and now stay-at-home mom writes about faithful choices in life, in parenting, in marriage, and in social media. 7. Joanna Penn—“The Creative Penn,” http://www.thecreativepenn.com — a resources-rich blog that helps you write, publish, and market your book. 8. Dr. Hugh Ross—“Reasons to Believe,” http://www.reasons.org — a research blog dedicated to discovering powerful new reasons that equip people to engage in the integration of science and Christian faith; uses the ever-increasing evidence coming out of the world of science that continues to prove the existence of the God of the Bible as the only credible candidate for the creator of the universe. 9. Joe Aquirre—“Reason to Believe: Cup of Joe on the Go,” http://www.reasons.org/explore/type/average-joes-corner — brief summaries of recent Reason to Believe podcasts, articles, talks, books, and more, in an effort to equip the non-science layperson with simplified science answers and reasons to believe in God. 10. 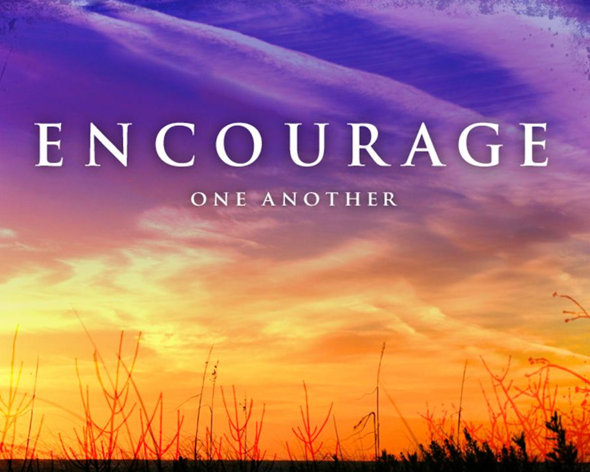 Carol Round—“A Matter of Faith,” http://carolaround.com — a blog of inspirational thoughts for daily living. I encourage readers to check out these blogs.